Are you keen to make a difference and help others? Want to join one of the best music education teams in the universe? Then now is your chance! We're looking for a course leader for our BA (Hons) Live Sound degree at our Bristol HE centre. We are a forward thinking, innovative and people focused organisation. With centres in Bristol, Plymouth and Berlin we offer further and higher education courses in music, with a focus on music technology. dBs Music Higher Education, Bristol, is looking to appoint a highly creative and committed person to lead our BA (Hons) Live Sound course, which is validated with our partner Plymouth Marjon University. The successful candidate will provide academic and pastoral leadership for students as well as giving clear direction and dynamic management of the course so that it continues to recruit strongly and delivers ambitious professional outcomes. A significant amount of additional research and development time will be allocated to the role to support the growth of a commercial production company, generating opportunities for students to advance their skills and gain experience from live sound events. The successful candidate will ideally have a Postgraduate qualification in a relevant discipline alongside recent HE course management and teaching experience, preferably with an appropriate teaching qualification, and with an active professional practice in the field of Live Sound. A key requirement of the post includes the management, coordination and delivery of modules as well as working with the dBs Music support team to enhance the student experience. This exciting Live Sound degree is highly practical and gear heavy, packed full of industry connections/opportunities and will give students the skills needed to progress onto a successful career. We teach current mixing technologies, acoustics, modern speaker systems, analogue and digital live sound production while elevating listening skills and honing professional practice. This course has been designed to facilitate in-depth knowledge and practical application of the skills required to design, build and operate professional sound systems in a range of varied live event situations. 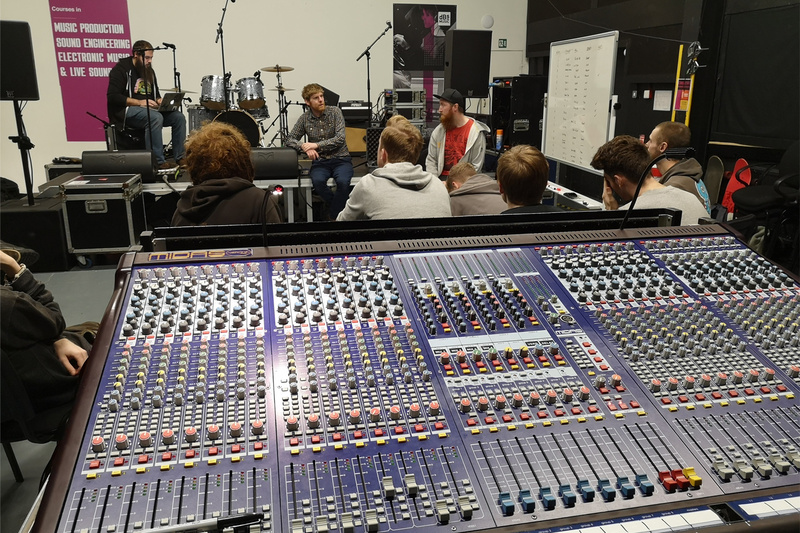 Students use professional grade equipment from respected manufacturers such as Midas, Avid, Yamaha and Martin Audio and are taught by tutors who are at the very top of the UK Live Sound industry. Practical and theoretical teaching on this course take place across our own specially designed performance space and state of the art studio facilities in the centre of Bristol. To apply please submit your CV to hr@dbsmusic.co.uk. The closing date for applications is midnight on 04/06/19.